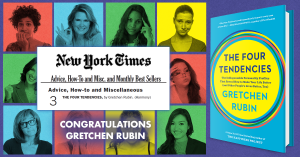 Congratulations to the team at Harmony and Gretchen Rubin for The Four Tendencies hitting the New York Times Best Sellers list at #3! “Enigma” is a New York Times Bestseller! 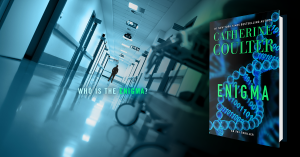 Congratulations to the team at Gallery Books and Catherine Coulter for Enigma hitting the New York Times Best Sellers list at #4! 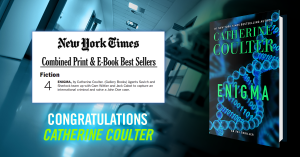 S+P is thrilled to be working with #1 New York Times bestselling author Catherine Coulter and Gallery Books on her upcoming book Enigma, the latest in her FBI Thriller series! 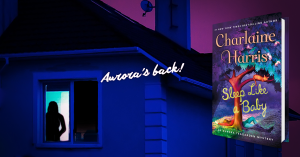 S+P is excited to be working with Charlaine Harris again– this time on her upcoming book Sleep Like a Baby, the latest in her Aurora Teagarden series! 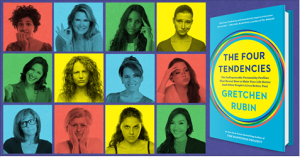 S+P starts work on #1 New York Times bestselling author Gretchen Rubin’s upcoming book The Four Tendencies! 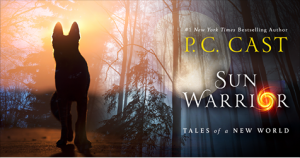 S+P starts work on #1 New York Times bestselling author P.C. Cast’s upcoming book Sun Warrior, the second book in her Tales of a New World series! 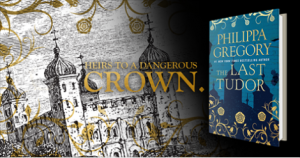 S+P starts work on #1 New York Times bestselling author Philippa Gregory’s upcoming book The Last Tudor!